as often as I'd like . . .
with me every single day . . .
You're in my thoughts and in my heart. And part of me is always with you, Mom . . .
and caring about you so much. 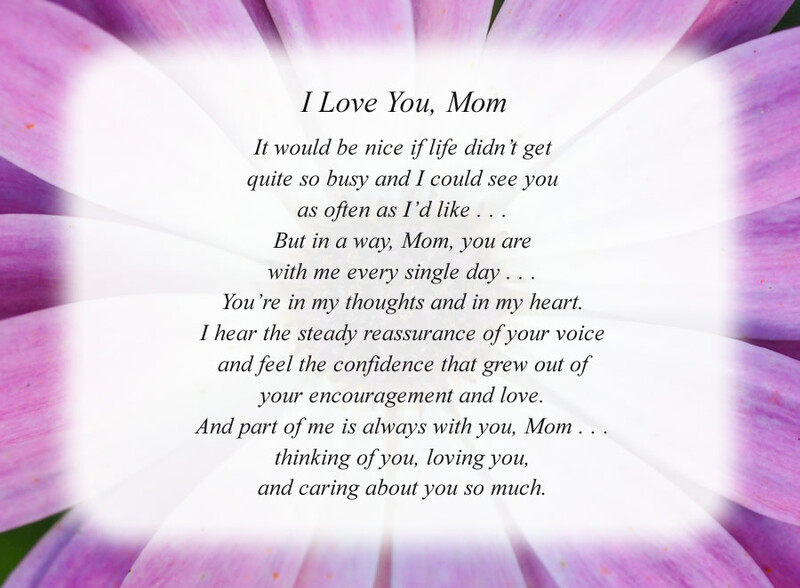 The poem, I Love You, Mom, is free and printable by opening or downloading using one of the three links below. One link is for the poem with the Purple Flower background as shown above. The second is for the poem with a plain white background. The third link is for the Purple Flower background without the poem, in case you would like to print a different poem on this background.